Let’s stay together: Why can’t Irish people just get along? Jeremy Corbyn’s election as leader of the Labour party has led to sniping between the ‘New’ and ‘Old’ wings of the party. While this has been a touch unedifying, the remarkable thing is that both wings exist under one umbrella in the first place. It is inconceivable that two groupings with such an ideological gulf and intense personal dislike of one another would stay together in Ireland. They would have long since exploded into 16 parties, 12 alliances, 11 working groups, 45 independents and six armies. Despite what the marriage statistics say, Irish people are predispositioned to splitting up. We live on a tiny island and we even managed to partition that. If we can’t agree whether we want to be independent or part of multi-national kingdom, what hope do we have agreeing on the water charges? 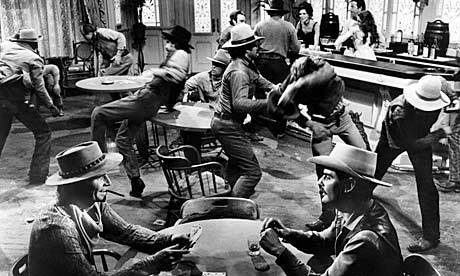 The meeting of left-wing activists was going well until somebody mentioned a joint policy platform. The partitioning of the island, and the civil war which followed, is the most famous split in recent Irish politics but it was following a centuries-old trend. Irish people have been splitting since before Cúchulainn knifed Ferdia. Despite our small size, our ancestors conspired to divide the island into four kingdoms, all of whom hated each other with such intensity that one of them decided it would be a good idea to invite the Normans over to help. The hired hands from across the Irish Sea proceeded to play the Irish factions off each other until all four kingdoms suddenly found themselves humming Rule Britannia and wondering what time Bake Off was on. Not only did political infighting lead directly to Ireland’s colonisation and eventual partition, it has continued unabated ever since. 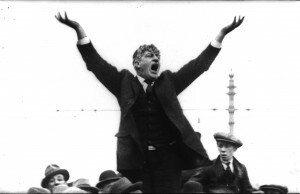 The split has long been a hobby of the Irish left who have drawn inspiration from Jim Larkin’s famous quote, “the great appear great only because we are on our knees, let us divide into small sub-sections and attack each other viciously”. Jim Larkin: knew that the best way to defeat capitalism was through endless sub-division and attacks on social democrats. Today, the Irish left displays the unity of a classroom of 9-year-olds asked to pick their favourite member of One Direction. Five TDs were elected under the ‘United Left Alliance’ banner but that grouping soon split between the Socialist Party and People Before Profit, both of which had two TDs each before they themselves both subsequently split. Remarkably, all five members of the United Left Alliance are now under separate political banners. This was a united alliance in the same way as Congo is democratic and a republic. The biggest left wing party is now Sinn Fein, who are themselves a split from Official Sinn Fein who went on to become the Workers’ Party (some of them became Democratic Left but we won’t even go there…) One of the reasons Sinn Fein left Official Sinn Fein was in a dispute over how left wing the organisation had become. Sinn Fein don’t talk about that now, preferring instead to discuss their enthusiasm for the very left wing policies they originally split over. The various left-wing factions in Irish politics occasionally collaborate but these outings have as much unity as a Guns ‘n’ Roses reunion tour. It’s less In The Thick Of It, more Game of Thrones. The one policy which unites all the more radically socialist members of the Dáil is their firm belief that the real enemy of the working people are moderate socialists. This has also been agreed by other moderate socialists, who have formed the Social Democrats to provide an electoral alternative to Ireland’s social democratic party. The political right has generally been more successful at staying together but recently there have been cracks there, too. 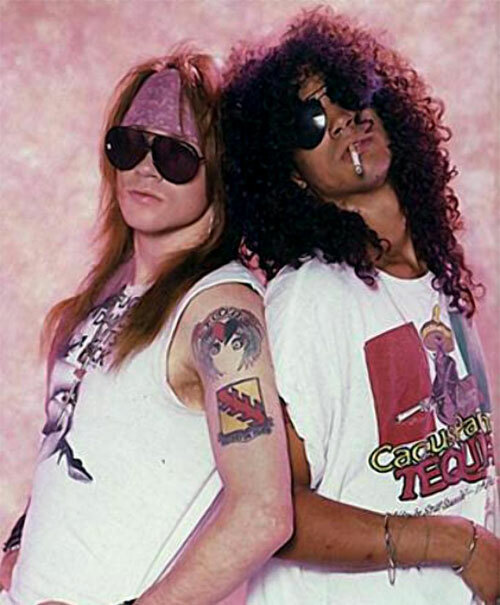 Slash and Axel: exploring common ground ahead of a joint bid for Meath East. We now have Renua, a party for people who think Fine Gael has gone a bit soft, and the Independent Alliance, a non-formal formal group of people who think the constitution should be replaced by a series of Shane Ross’s Sunday Independent columns. Britain, of course, operates under a very different electoral system, one which makes it virtually impossible for smaller parties to gain a parliamentary presence. It could, therefore, be argued that the likes of Corbyn had little choice but to stay within the party since leaving would be the electoral equivalent of arriving at the Falls Road Celtic Supporters Club Christmas dinner dressed as Gazza. As true as this may be, the fact remains that had Corbyn left Labour he would currently be preparing for Islington Council meetings, while the hopes of ordinary Britains rested on Andy Burnham’s shoulders. Instead of endlessly sub-dividing into ideologically purer groupings, Corbyn has brought the left in the UK – in theory at least – within striking distance of Number 10. Perhaps the real lesson of Corbyn’s win is that plurality of opinion is a good thing and that political parties don’t have to be a constant state of internal purification. It is a lesson Ireland’s warring factions would do well to heed. Paris to Malawi – can the world grasp its moment of hope?